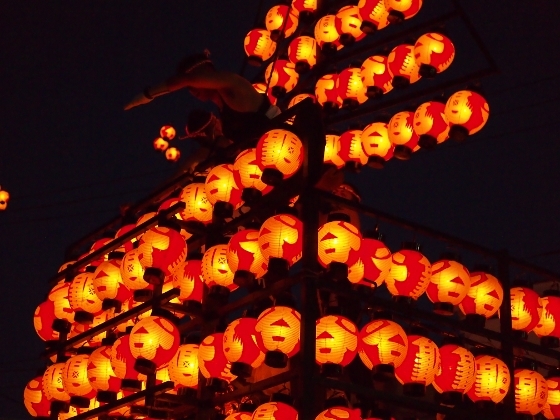 Tonight, a traditional lantern festival or chochin-matsuri of Nihonmatsu City has started at 5:30 p.m. Drum floats from seven town districts gathered at the start point in the city center. 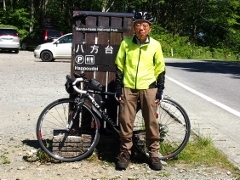 The location is about 10-minute walk from JR Nihonmatsu Station. 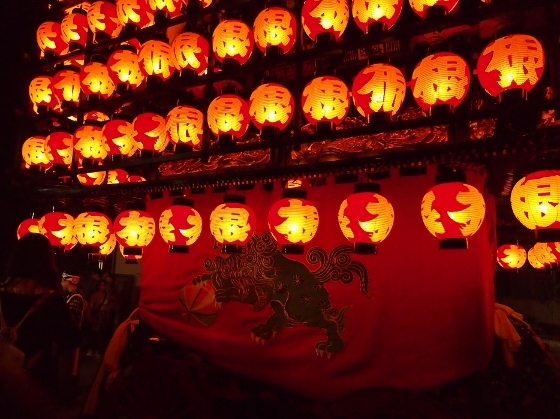 Each drum float (or lantern float) carries 300 candle lanterns as shown above. 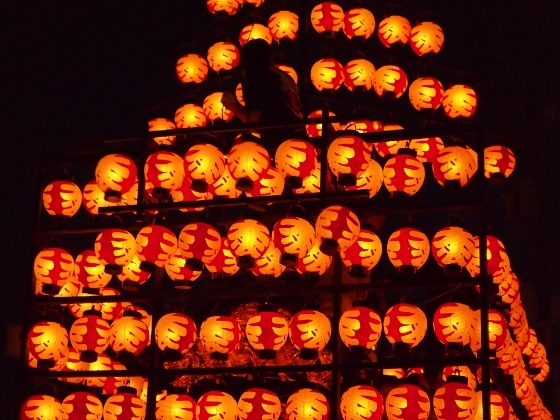 Each lantern has its own kanji character on it describing one of the seven districts of the town. Every float has a circular lantern ring at the top called "suginari". And every float has Japanese drums on it with drummers and Japanese flute players. You can feel the excitement of the festival with drum beats during the parade, in the three very short footages below. 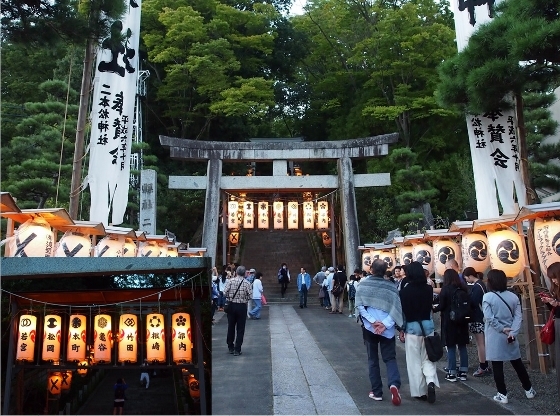 At the beginning of the lantern and drum floats parade, sacred fires are brought from Nihonmatsu Shrine shown above. Then all the 300 lanterns for each float are lighted manually with candles inside. Seven town districts are shown on the left bottom part of the photo above. 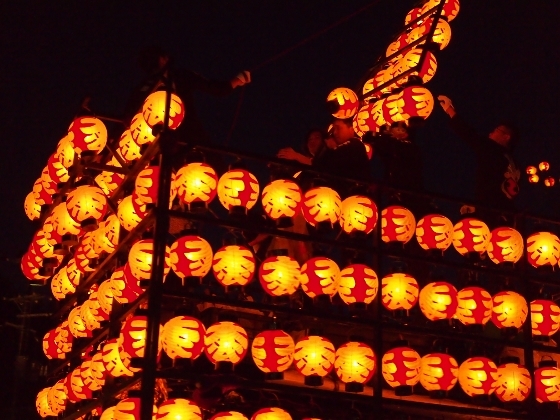 The festival started about 370 years ago and now is said to be one of 3 major lantern festivals in Japan. 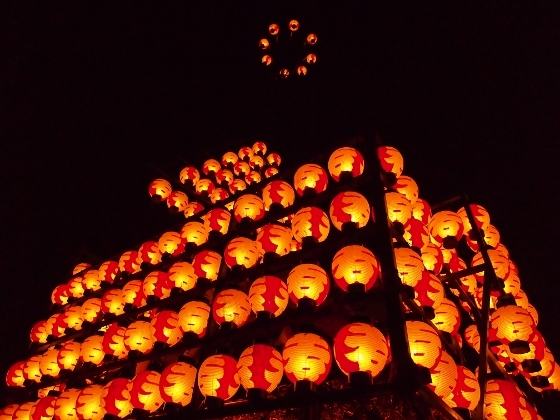 Some other pictures of the lantern and drum floats are shown above. The 3-day festival lasts through Thursday. 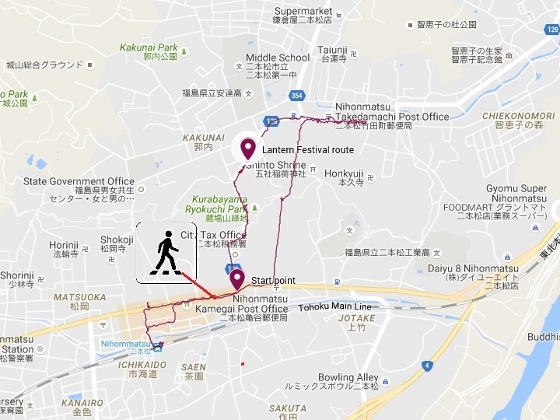 In the last day, three of the floats starts from Kasumiga-jo (or Nihonmatsu-jo) Castle.